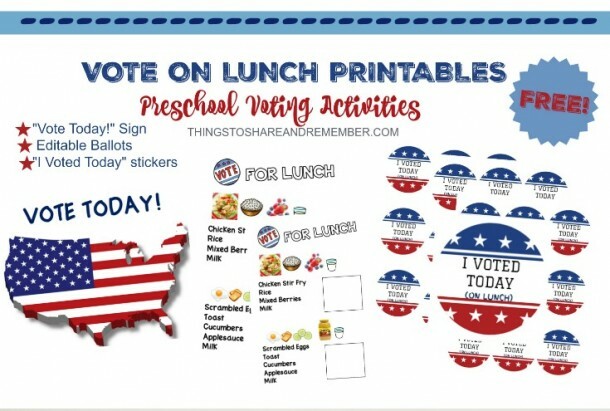 While preschoolers might be too young to vote, it’s not that they are clueless! A couple came into today talking about voting. This is excellent because it shows me parents are talking to their children, which is so important. 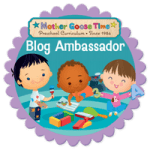 They are learning about the world around them and who is in it. 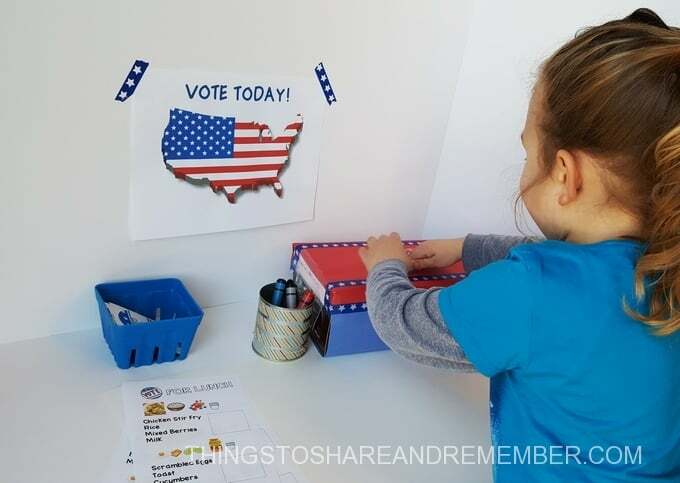 Preschoolers can vote – preschool voting activities teach them about the voting process, that they each have an opinion and the vote stands. 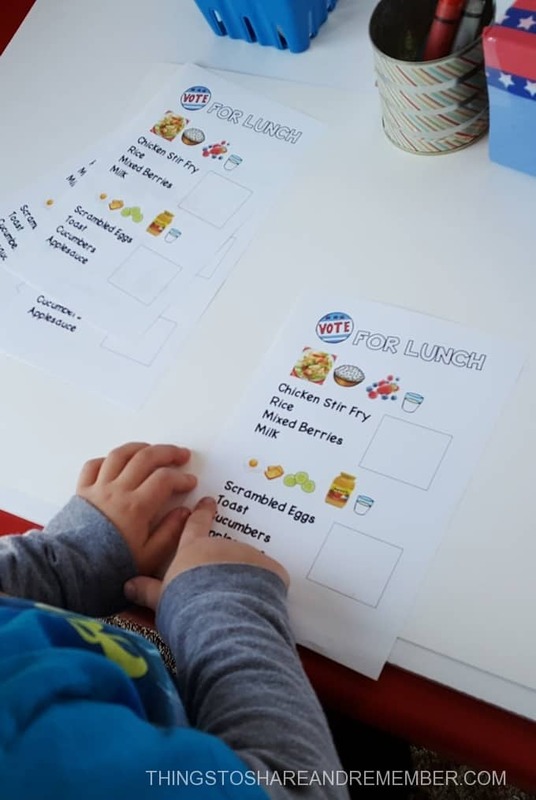 We voted on what lunch we would have. 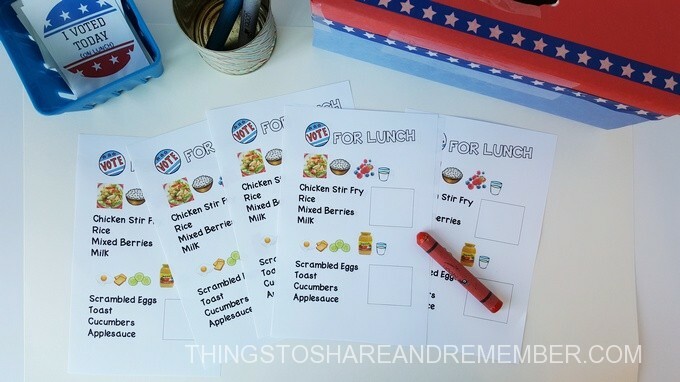 We could have pretended to vote for president, but lunch is much more meaningful to them! The choice of what we’ll have for lunch affects them in a real way. 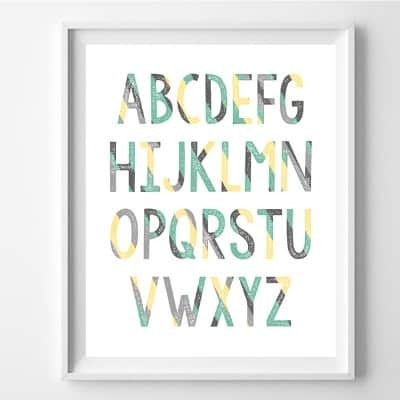 I made this printable sign for our booth. I attached it with star washi tape. 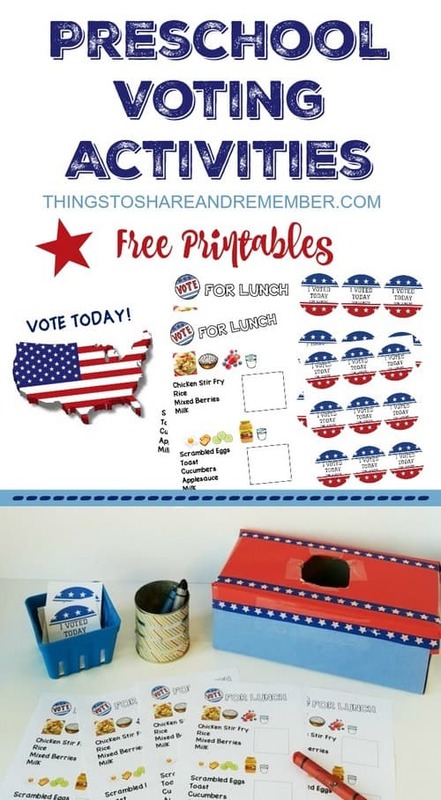 You can edit the ballot in Word with your lunch menus. I recommend adding clipart so pre-readers can clearly read and understand their choice. 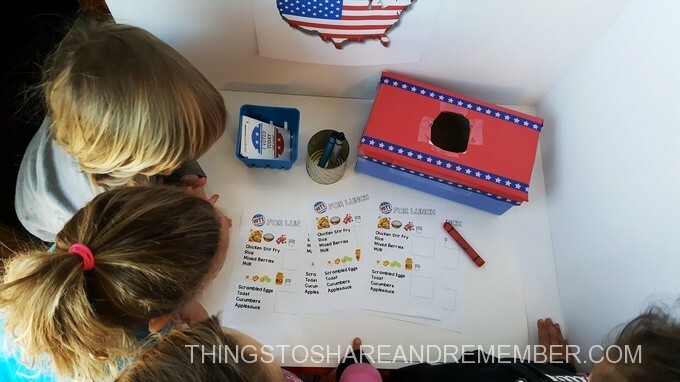 I explained the voting process and what the choices for lunch were. My group is ages 2-5 and they were all very interested. Our first voter! 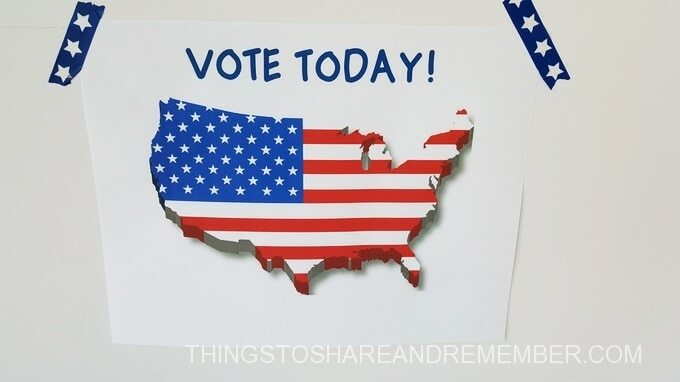 I encouraged privacy because voting is special and I wanted the results to be a surprise. It’s another way we can learn to take turns and respect our friends. 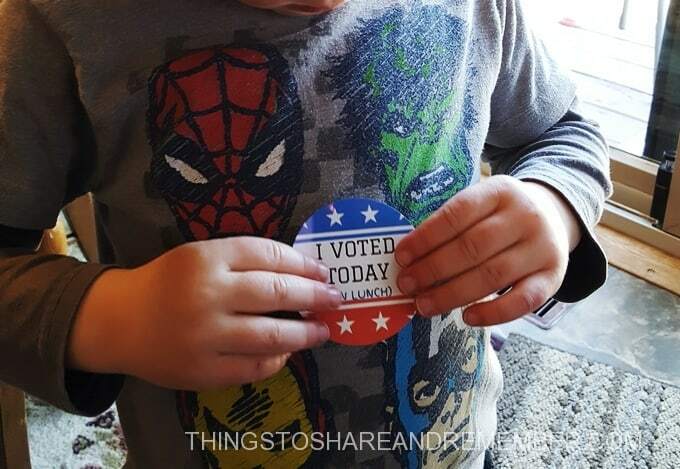 The best part – the sticker! 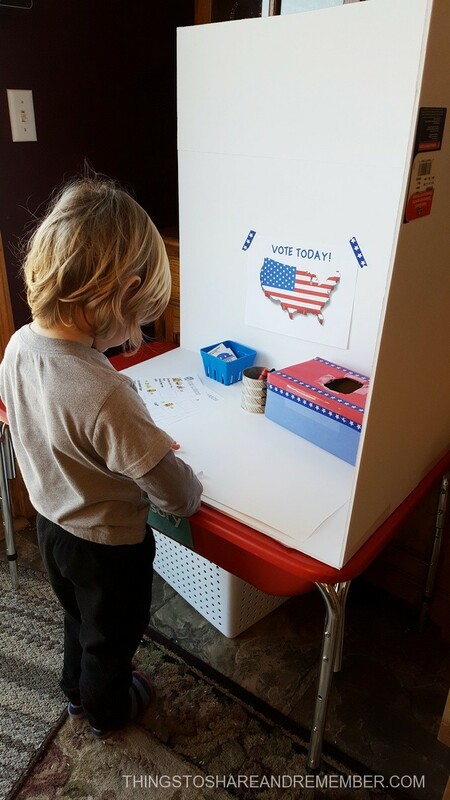 Folding the ballot and inserting it into the official box was a big part of the process, not to be overlooked! In the end, the vote was 4-3 for scrambled eggs. No worries, we had the chicken stir fry the next day. Everyone wins! 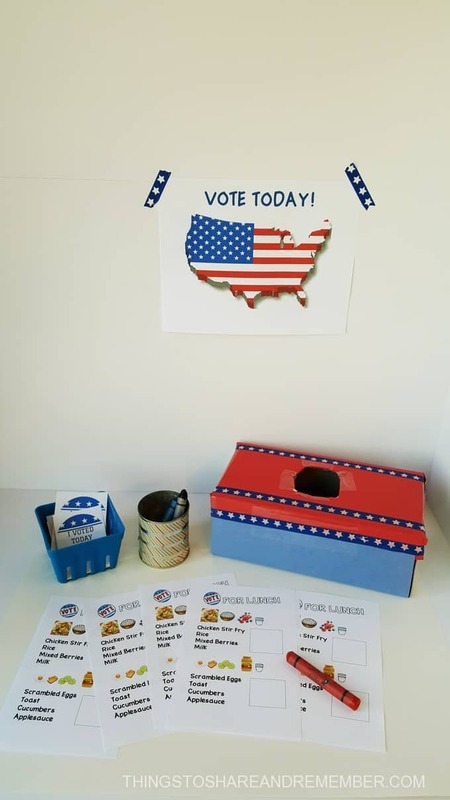 Create your own voting booth with free printable sign, ballots, and stickers! 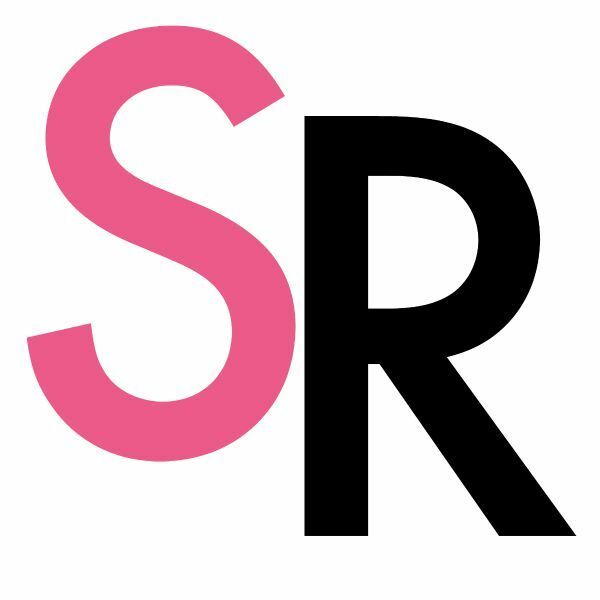 Subscribe to Share & Remember to receive the latest updates & free printables.